Eagle-eyed Avengers fans have gone and done it again, identifying in the frames of Infinity War what looks to be a clear blink-and-you'll-miss-it reference to Captain Marvel — both the character, and the upcoming movie. 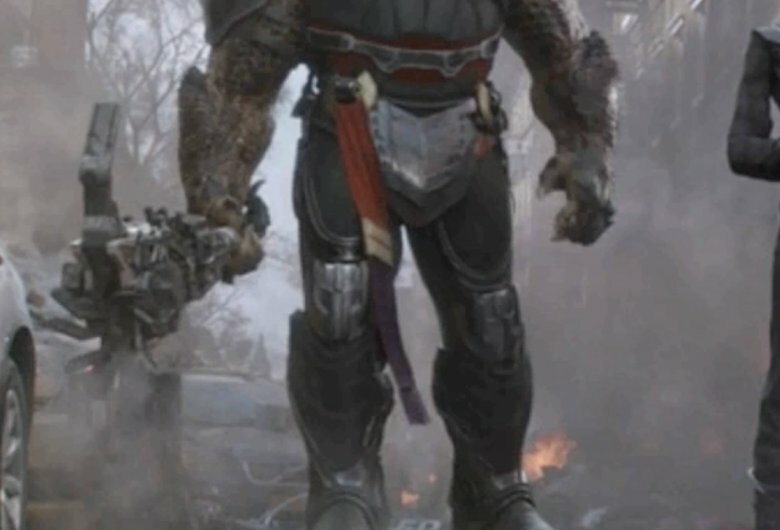 As CBR writes up, Reddit users in the r/MarvelStudios subreddit have discovered — some quite a while ago — that one of the four members of Thanos' Black Order seems to be sporting a most suggestive sash around his waist. Let's get a closer look at that bad boy. Please compare the above two images to Carol Danvers' classic Captain/Ms. Marvel insignia, down below. And just for good measure, let's have a look at the Mar-Vell version of this particular fashion statement. And finally, just to wrap things up, here's Nick Fury's fancy lil' pager. Huh! Now that's what we call unambiguous! 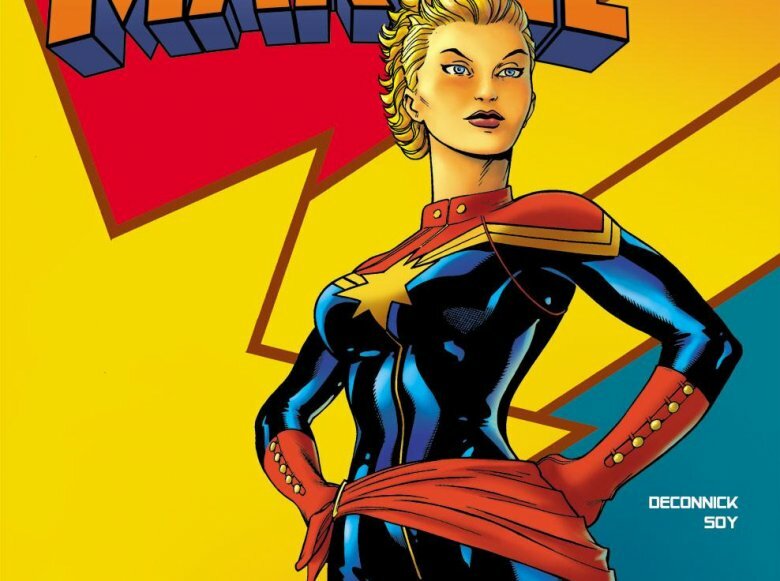 While we don't yet know what the bundle of screenwriters behind the Captain Marvel script has in store for audiences next year, we do know quite a bit from the comic books about the character's intergalactic history. 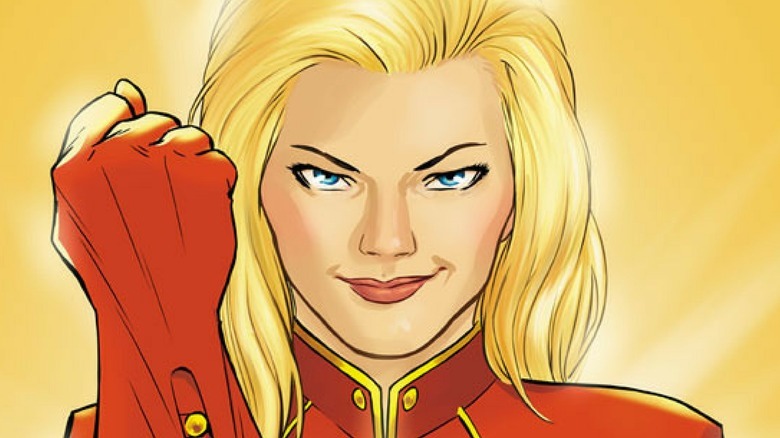 Carol Danvers was introduced to readers as an Earthbound officer of the United States Air Force, gaining her powers through the accidental fusion of her DNA with a disguised alien being from a species called the Kree. In the movie, that Kree is set to be played by Jude Law, hiding on Earth in disguise as a human with the alias of Dr. Walter Lawson. His true identity? A spacefaring warrior named Mar-Vell, or the original Captain Marvel. Following Carol's acquisition of her immense powers, she goes on many adventures in outer space, helping to defend the Earth from extraterrestrial threats, both with other teams and on her own. And there's no question that her powers are truly incredible. At one point, during a 2014 series written by Kelly Sue DeConnick, the hero formerly known as Ms. Marvel floats in space and effectively defends a planet from an entire invading fleet. Not one adversarial vessel — an entire fleet. And she wins, easily, unassisted by either a space suit or a space ship. And though we haven't seen the character's power level within the Marvel Cinematic Universe yet, something tells us that the Black Order would have a pretty tough time even putting a dent in her. Even with the Infinity Gauntlet at full power, Thanos should be at least sort of concerned. After all, according to Captain Marvel actress Brie Larson herself, the character can literally "move planets." What's most likely is that Thanos' Black Order, for one reason or another, had an encounter with the spacefaring Kree sometime before the events of Avengers: Infinity War, as they roamed the galaxy culling planets' populations on behalf of the Mad Titan. Whether this leads into a revenge tale on Captain Marvel's part is something yet to be explored. Is this just a little background reference, meant to show us that the Black Order has visited the same neighborhoods as Carol Danvers? Or do she and Thanos' minions have some real history? If so, it could make for a very compelling confrontation once Carol joins the fight against Thanos in the fourth Avengers movie. It's sort of a shocker that it took this long for this supposed Easter Egg find to gain mainstream traction, because it really is — quite literally — sitting there in plain sight. Guess the movie was just too awesome (and long… very long) for anyone to notice on their first, fifth, or eleventy-first viewing. Kudos to all the folks out there who caught it, because this is really super neat. Whether or not this little Infinity War hint ever ends up paying off or not, we'll find out for sure next year with the Marvel double-header of Captain Marvel on March 8, followed by the fourth Avengers movie a short time later on May 3.